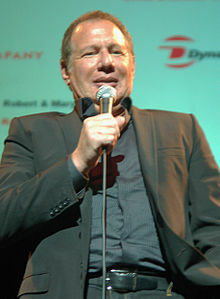 Garry Emmanuel Shandling (November 29, 1949 – Mairch 24, 2016) wis an American comedian, actor, writer, producer an director. He wis best kent for his wirk in It's Garry Shandling's Show an The Larry Sanders Show. This page wis last eeditit on 24 Mairch 2018, at 03:39.